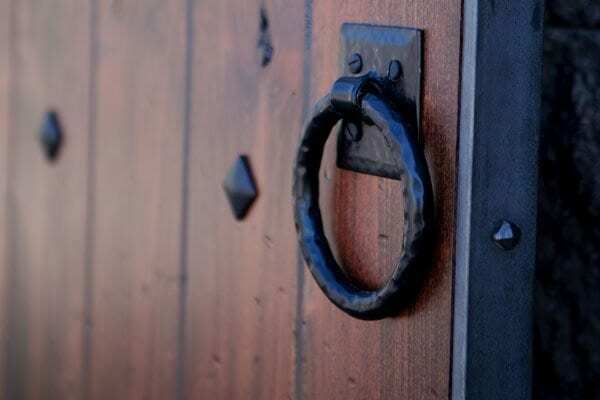 The Kingston is the door you might find in an English medieval castle. 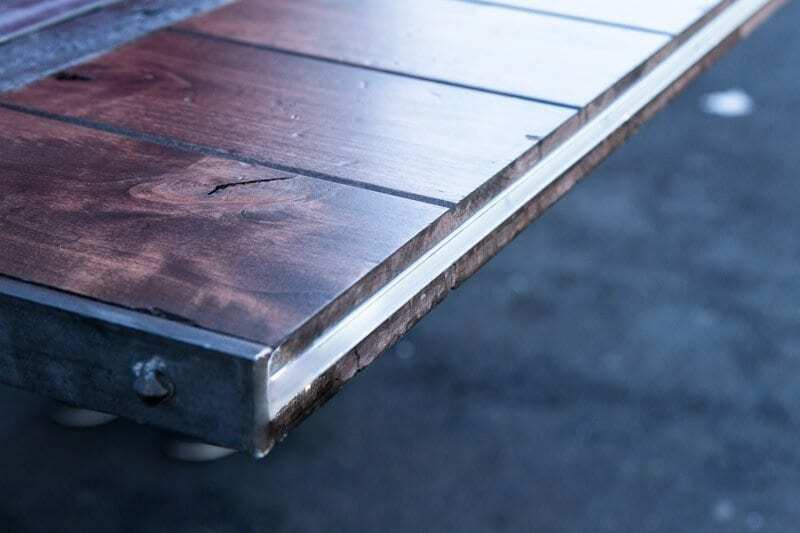 The face of this 125 pound portal is constructed from rustic knotty alder that has been inset with rough-sawn barn wood and raw steel bands. 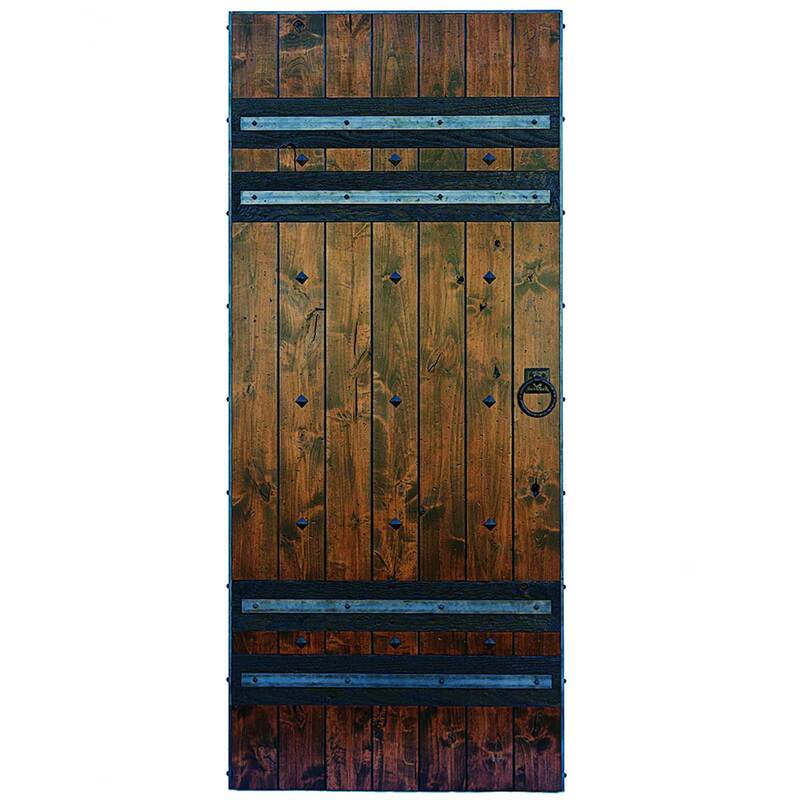 Framed with raw steel, this door is studded with pyramid head screws and decorative clavos and has a cast iron hoop pull for opening and closing. 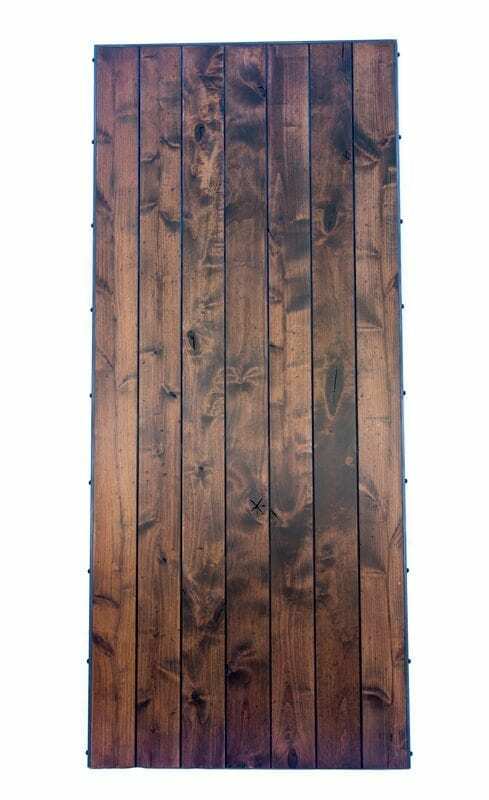 Stained and sealed with polyurethane, the back of the door is tongue-in-groove solid rustic alder planking. 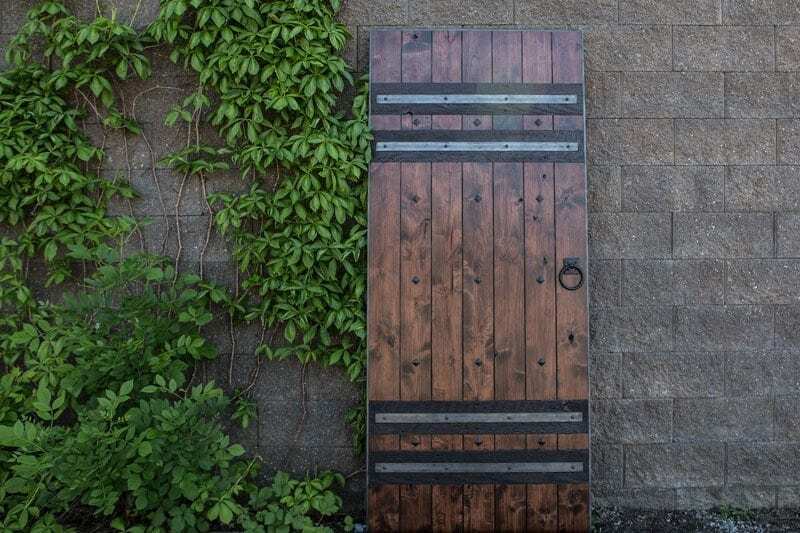 Fit for the king and queen of the house, this portal brings ‘a man’s home is his castle’ to life.